A heartly welcome in our Gästehaus Golker! 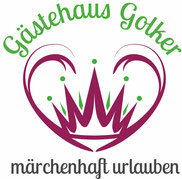 we are very pleased to welcome you to our new website of the Gästehaus Golkers. We will gladly make you a personal, tailor-made offer for your perfect holiday in the guest house Golker, far from the hustle and bustle & the center but so close.